John Edward Condon was born in Ireland in August, 1843. He settled in Chicago, IL in 1861. He married Margaret Cleary in Chicago in 1865 or earlier. Margaret was born in Ireland on 9 Jan 1840. John died 24 Jan 1918 and Margaret died 8 Jan 1912. Both are buried in Calvary Cemetery in Evanston, IL. For further details, contact the Chicago Genealogical Society. 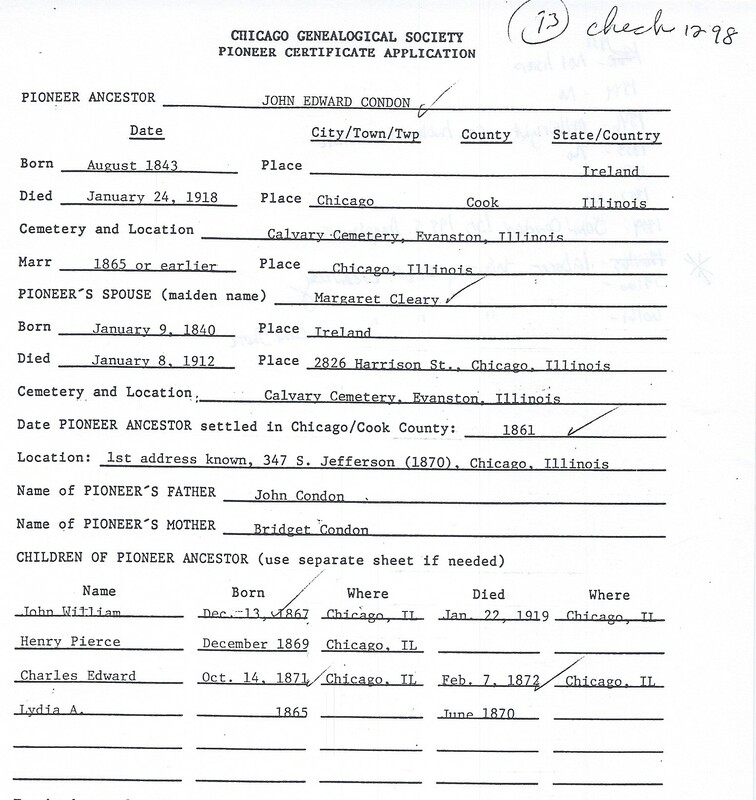 John Edward Condon is Pioneer Ancestor number 73. Son John William Condon is Pioneer Ancestor number 74.